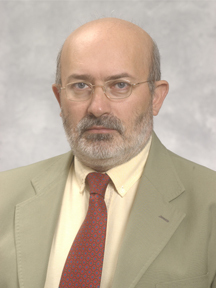 Daniele Mortari is an international authority in spacecraft mechanics. He has reshaped the fields of spacecraft attitude estimation and spacecraft formation design, impacting both theory and practice. Fundamental algorithms he developed yielded the most efficient solution for identifying stars from a randomly pointed image of a starfield. His solution is widely recognized as the gold standard for both efficiency and reliability. Dr. Mortari has solved the problem of determining the best estimate of spacecraft orientation (attitude) given the measured line of sight vectors toward the stars. He also developed an entirely new class of spacecraft constellations, the “Flower Constellations,” which designs spacecraft orbits to have novel periodic structure relative to each other and to an assigned rotating frame. Using this discovery, Dr. Mortari proved that he can obtain the same or better performance with fewer satellites than the existing global positioning system (GPS) constellation, a monumental achievement given the exceedingly large size and cost of the satellites. This page was last edited on 21 January 2016, at 15:51.